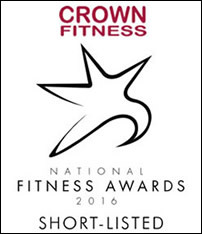 Crown Fitness is short listed in 2 categories for the National Fitness Awards 2016. NEW – Dance class – Thursdays at 7.30pm – awesome calorie burn! BOOK A FREE TOUR – Simply call us on 01443 217837 and book a free tour. 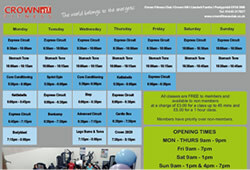 We will show you around the club and answer all your questions and then you can choose to join or think it over. FACEBOOK – Like us on Facebook to receive offers, promotions and latest news. Join us on Facebook and keep up with all the latest news. Search Crown Fitness or use the link above. Follow us now on Twitter – see the latest news as it happens. ONLY £12 for 30 minutes – Call NOW! !